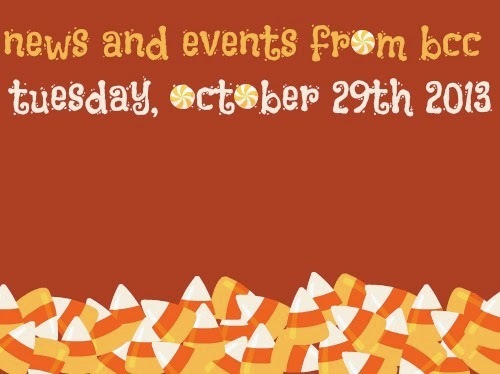 Fall Family Festival This Thursday, October 31st! Fall Family Festival week is finally here! Invite your family and join us this Thursday from 5:30 - 8 PM at BCC for a fun-filled night with trunk-or-treat, carnival games, hayrides and more! Make sure to invite your friends, family and co-workers! Read below for some ways you can help make this event happen! Donate Candy for Trunk or Treat! We need donated candy for Trunk or Treat! We have around a thousand people come through for the Festival so we'll take all the candy we can get! Drop off your candy in one of the donation tubs around the church tomorrow or Thursday! Help Set Up Tomorrow Evening! Come lend a hand tomorrow, October 30th as we set up for the festival from 6:30 - 8 PM! Come eat dinner with us beforehand at 6 PM and then help us set up for the festival afterwards! Conversational Evangelism Training Tomorrow Evening! Don't have a job to do at the Festival but want to be able to mingle with those in the community and share the hope of Jesus Christ with them? Come join us tomorrow in the Blue Room from 6 - 7 PM for a conversational evangelism training with Alan Perry. Dinner will be provided at 6! This training will help you strike up conversations with people at the festival and point them to Jesus Christ! That's what this Festival is all about! Men's Breakfast This Saturday, November 2nd! Attention men! Make plans to attend the Men's Breakfast this Saturday, November 2nd at 7:30 AM in the Student Center. Start your day off right with a time of food, fellowship, and prayer! We'll see you there! Fall Back This Sunday, November 3rd! Just a reminder! It's almost Daylight Savings Time again! Set your clocks back an hour this Saturday night and enjoy the extra hour of sleep before joining us for worship this Sunday!